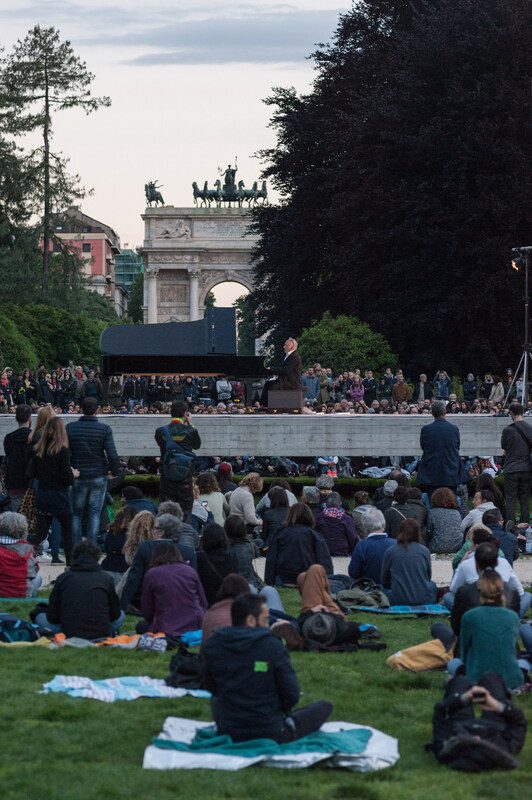 Milan becomes one great concert hall with the eighth edition of PIANO CITY MILANO, held from the 17th to 19th of May. More than 50 hours of performance, scheduled from dawn until night, totaling over 400 free performances defining the most engaging open festival in town, which comes to life within classic spaces dedicated to music as well as in Milan’s unusual and secret spaces: museums and art galleries, historic buildings, private houses, terraces, courtyards and parks. Conceived in 2012 with the aim of returning the city to its inhabitants and to the many tourists who appreciate its cultural offer, PIANO CITY MILANOis the extraordinary result of a project sponsored by the city of Milan and the Association Piano City Milano. Thanks to the efforts of the festival founders and its association, including Daniela Cattaneo Diaz and Titti Santini, who makes the event possible every year, PIANO CITY MILANO makes use of the contribution and enthusiasm of partners, musicians, businesses, media, institutions and associations, which have created a virtuous network to support this wonderful urban experience.